In the late 19th and early 20th centuries when summer vacation arrived quartets of Seventh Day Baptist college students would travel from church to church for evangelistic meetings. 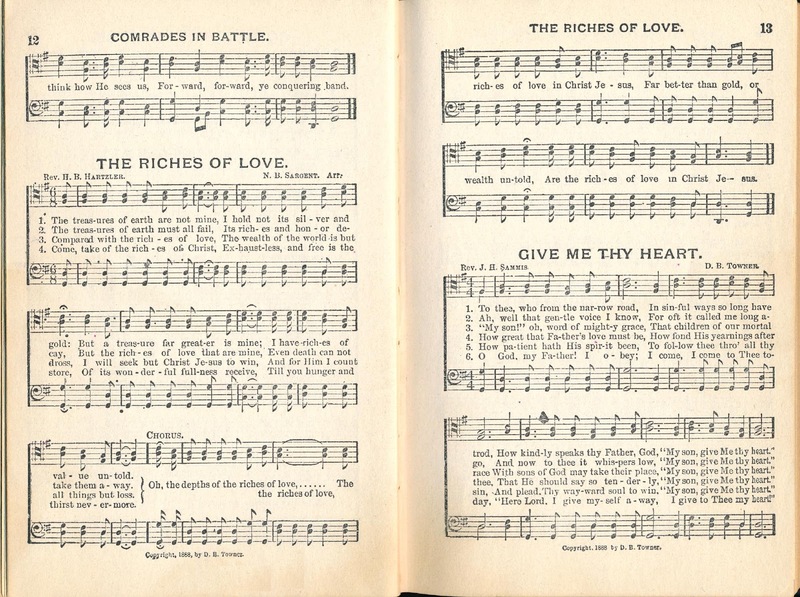 The male quartets would usually sing from Towner's Male Choir songbooks. I was given a copy of the 1888 Towner once belonging to the library of the Alfred University School of Theology. Last Sabbath our worship service was blessed with special music performed from that book by a quartet composed of pastors Justin Camenga, Paul Green and Herb Saunders, joined by Brandon Crandall.